Hierdie tegniek is baie maklik en kan op verskeie oppervlakke gebruik word. Gebruik die gedetailleerde patroon van 'n papierdoilie as jou stensil. Soveel kosbare foto's en so min muurruimte! Hier is 'n manier om baie foto's op een doek uit te stal. Baie van ons het seker op 'n stadium afdrukke gekoop waarvan ons nie meer hou nie. 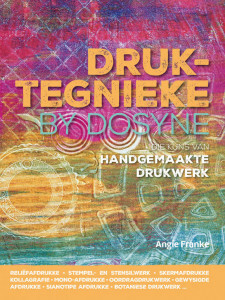 Hierdie projek is 'n prettige manier om daardie doeke te vernuwe! 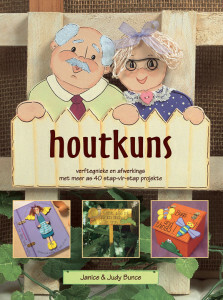 In hierdie "projek" is daar 27 inspirerende idees vir maklike en vinnige projekte - van 'n gelukbringer halssnoer en boekmerke wat jy met ou of stukkende juwele kan maak, tot pragtige blompot idees en verskeie mooi dekoratiewe muur versierings. 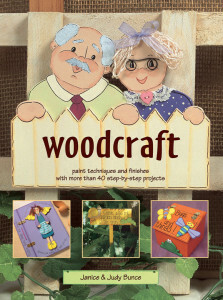 Aged paper is particularly effective for cardmaking and themed scrapbook pages. 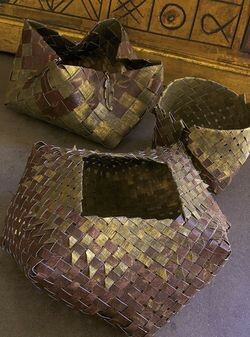 Old papers made from wood fibres have a high acid content and deteriorate with age, becoming brittle, yellow and dotted with age. In this download we show you how to recreate this effect using various different methods, all with fabulous results. 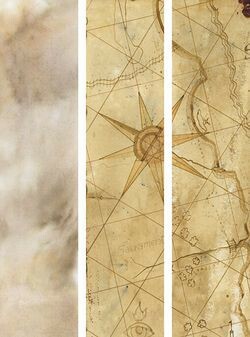 We show you how to age paper with stamp-pad staining, crack filler and powder, antique crackle, sanded paper, shoe polish and more! 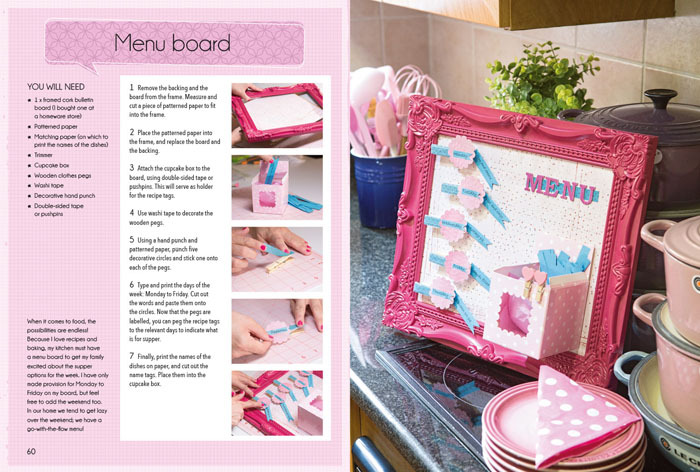 There are some paper-decorating techniques that are just not as easy to fit into categories as others - this download covers most of these! We show you how vegetable dyeing works, several techniques and applications for doing transfers, and other unusual options. Brushes come in many shapes and sizes. The most obvious use is to paint solid colour flat on paper or draw lines, but why not be adventurous and experiment? We've used a variety of brushes in different ways. In this download we show you some samples of basic brushstroke effects which can be achieved with the most ordinary brushes. Checks and stripes are very simple to create on paper and there are various methods, all of which we explore in this download. Love them or hate them, computers touch so many aspects of our lives that we can almost not get by without the many possibilities that they offer. 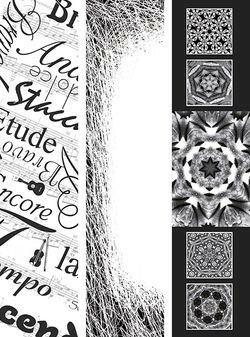 In this download we show you different ways in which to use your computer to enhance your craft: from font-filled pages, simple graphics and kaleidoscope paper, to using photo patterns, posterizing and making black and white collages. Faux means fake. It is easy to simulate natural texture effects such as rock or wood graining with unusual tools and suitable colours. Texture adds interest to any project and is very important. It can be created in any number of different ways, most of which are really simple. 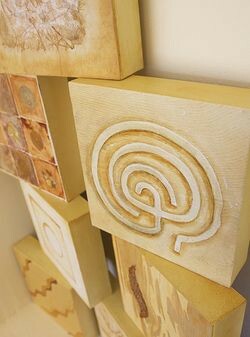 We've adapted all sorts of techniques, including wall effects, for paper. 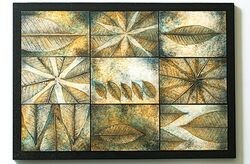 The methods used here are all best executed using transparent paints on paper already coated with some form of transparent paint base or glaze. 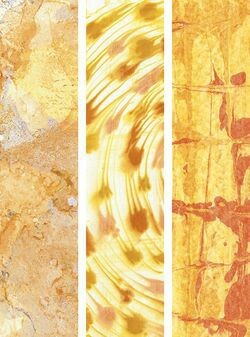 Some of the effects in this download include glass-marble rolling, wood-grain effect, cookie-cutter dragging, card scraping, old leather, malachite, sandy patterns, talc embossing and much, much more! 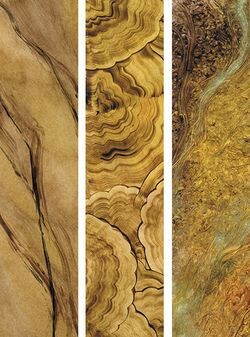 Marbling is a decorative technique which results in fine-grained swirls and spotty patterns similar to those found in many different types of marble, granite and other precious stones, and is how the process came to be named. 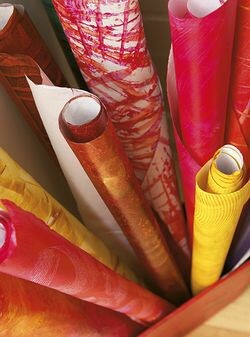 It is not limited to any colour range and can be deliberately manipulated into myriads of patterns depending on the carrier used to float inks or paints. The techniques covered in this download use water, shaving cream and extender as carriers for the paint, which allow random mixing and patterns to be formed. You never know what the outcome is going to be, which adds to the fun! 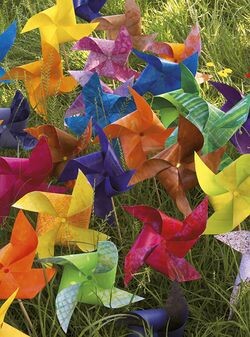 Shiny paints and other metallic bits add an irresistible lure to paper pages and projects. We've included some really glitzy examples which demonstrate just some of the range of shines available, from glitters and sparkle dust to gold leaf. These effects can also be achieved with paints, most of which are available in water-based, oil and solvent varieties, so take your pick. 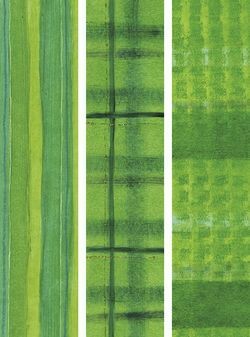 Monoprinting is generally done with rigid plastic (PVC or bleached X-rays), glass (take care to bevel the edges) or even your work table surface. 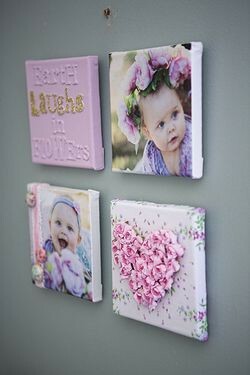 The idea is that you paint your image onto one surface and then transfer it onto paper. This makes a print which is the reverse of the original. 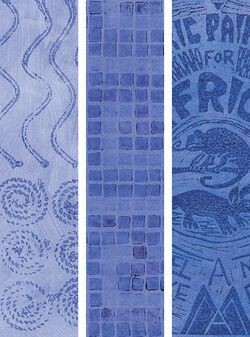 Monoprinting is best suited to bold designs, done quite quickly, before the paint dries. 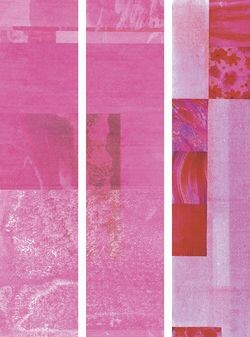 In this download we have included some other ways of monoprinting for variation. Whole books have been written on paste papers so we have included some of the best examples in this download. The idea is to coat paper with coloured paste and then create various effects. It's quite fun and the possibilities are endless! While we have described this download as "patterns", the accent is really on the mediums and tools used to create magic on and with paper. We show you how to create patterns with different types of paint, inks, pigment dyes, glazes, oil paint, food colouring and more; and how to use tools such as pens, pencils and crayons. Raised effects or relief may be achieved in many ways and usually, though not always, entail glue or heat somewhere along the line. 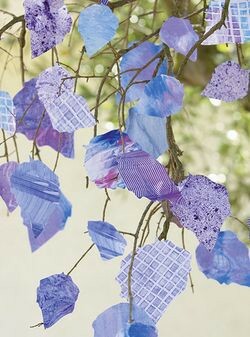 The papers created with these techniques can be works of art in their own right, but will be equally striking used for cards or on gift boxes. In this download we touch on creating raised effects with sandy patterns, embossed motifs, puff-paint motifs, starch liner, texture paste and more! Any medium other than stencils that is used to mask areas from paint is called a resist. Resists allow paint to seep through to varying degrees, often creating a less solid mask than a stencil. Resists also add texture to a page, often creating a three-dimensional appearance. Several mediums can be used as resists, as shown in this download. 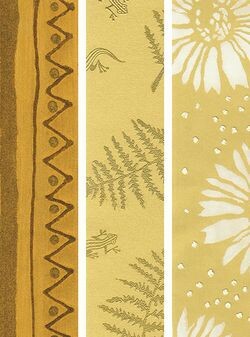 Stamping is the simplest way to repeat patterns on paper and it offers so much scope for paper decorating. 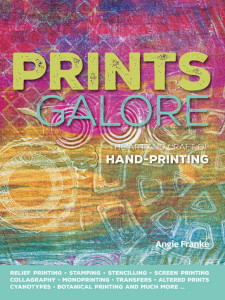 We used a variety of bought and home-made stamps and printing blocks to create our sample papers with different techniques, including layered stamping, hand-carved stamping, reverse stamping, print-block mosaic and many more. 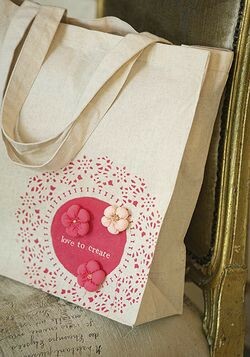 A stencil is a shape punched or cut out of card or plastic and is a quick method of repeating a design. Simple and easy to use, bought stencils come in a variety of sizes and designs and are available from craft, hardware and paint shops. 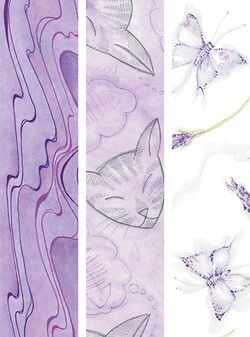 There are many creative possibilities for making your own stencils too - from drawing around your hand on an old X-ray and cutting that out, to painting around leaves from the garden to decorate a sheet of wrapping paper. 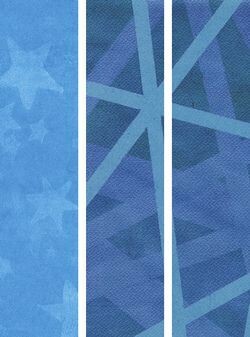 We discuss various techniques in this download, as well as how to do positive and negative stencils. Paint on paper is a fully illustrated guide to the art of decorating paper, using not only paint but also wood glue, vegetable dye, nail varnish and whatever else you have on hand. 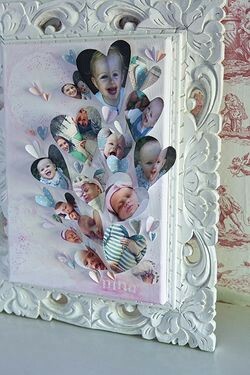 It encompasses a range of paint techniques that make use of easily accessible copy paper and paints, as well as other materials that can be sourced from around the house. 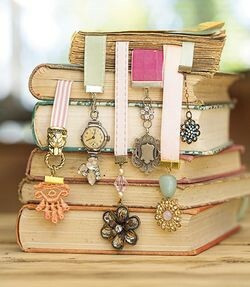 Traditional uses of paper such as scrapbooking, cards, stationery and giftwrap are covered but you will also be inspired to create quirky artworks such as mosaics and collages, unique beads for jewellery, decorative boxes, funky masks, bowls, shoes and as many other practical and innovative items as you can think of. 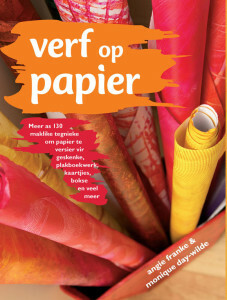 This download has more than 10 pages covering everything you need to know about paper and the different kinds that are available. There is also a very informative section about colour. With most of the techniques discussed in this download we worked with very liquid or watered-down paints on wet (or dry) paper. Methods discussed include bleach patterns, bubble prints, sun paint, salt-crystal speckling, clouding and more! Brighten up a boring wall with your very own work of art. 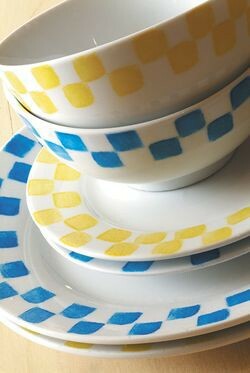 This cheerful breakfast set was quick and easy to paint which means that you could decorate an entire dinner service in an afternoon. 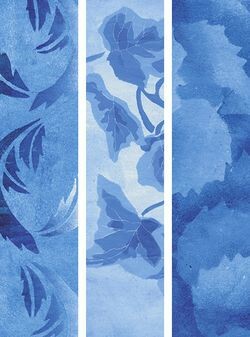 Add veiny texture with skeleton leaves to plain postcards.